The Haas Formula 1 team will introduce a lower-drag rear wing at this weekend's Chinese Grand Prix after suffering with an overly high-downforce package in Bahrain. Driver Kevin Magnussen had lamented a “hopeless” race at the Sakhir venue, in which he finished out of the points despite having qualified within touching distance of Max Verstappen’s Red Bull. The Dane was a sitting duck on the straights in Bahrain, where running in higher-downforce trim left Haas vulnerable. 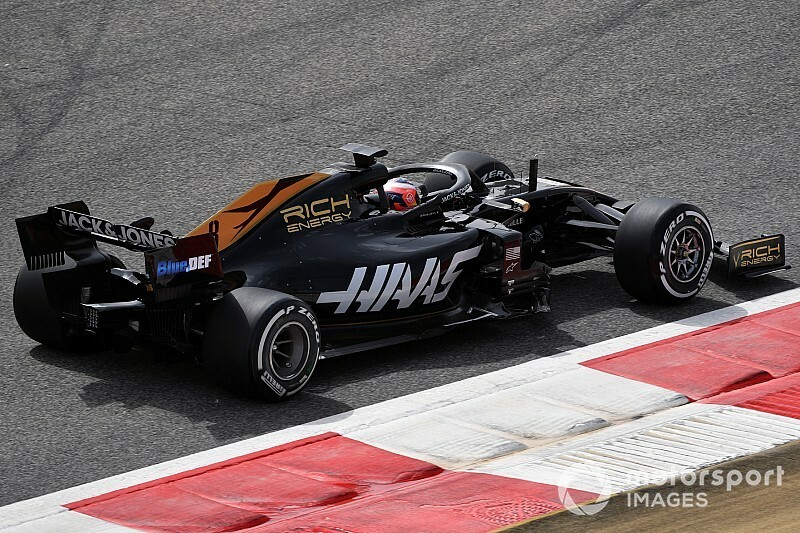 Hoping to address the shortcomings the VF-19 displayed in Bahrain, Haas has finally been able to bring a lower-drag rear wing concept to Shanghai that was not ready two weeks ago. “We simply didn’t have that lower step, medium-downforce package [in Bahrain],” Magnussen said. “We didn’t have it. “We have it this weekend. But it wasn’t ready. I didn’t expect to be needing it as badly as we were. One of the positives for Haas was that the Bahrain GP was followed by a two-day test, which afforded it an immediate opportunity to establish what had gone wrong in the race. "To have a bad weekend when we have a test straight after is kind of lucky I guess,” Magnussen said. “We were able to kind of replicate it and directly learn the problems we had on the same track and a couple of days after. "I think we found some interesting things that could be reasons. I don’t think it’s just one thing - I think it’s a combination of things that kind of went wrong and that wasn’t in the window, which often it is when you have such a bad weekend, unless you’ve broken something on the car. In addition to the downforce problem, Magnussen revealed the VF-17 was dialled too much towards one-lap pace. 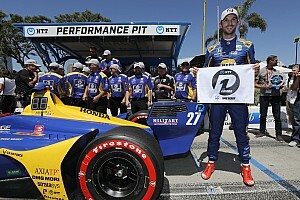 “Both on downforce level, tyre management, the whole set-up on the car was probably wrong for a long stint," he explained. “It was very difficult but, as I said, I think we found some interesting things in the test. 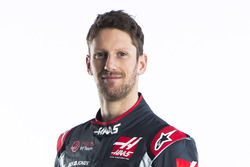 Teammate Romain Grosjean, whose Bahrain GP was ruined by an early clash with Lance Stroll, also said the team had found some “interesting” set-up parameters the team should have applied in the race.